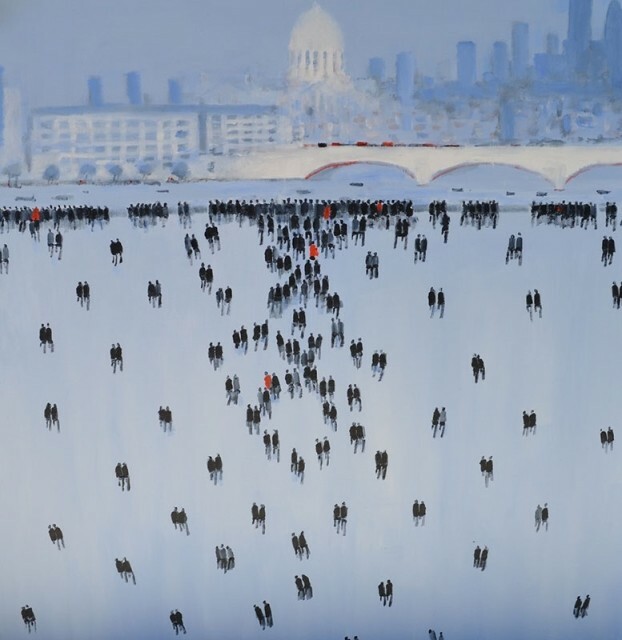 London cityscapes peppered with Lowry-esque crowds are the focal point of this solo exhibition by David Wheeler. A limited palette of soft blues, greys and browns combined with his gift of capturing London’s hazy light, Wheeler conveys the fluidity of the city and its crowd with real aplomb. This solo exhibition will feature in particular some beautiful spots in South-West London, such as Battersea Power Station and The Albert Bridge, to name a few. Wide set panoramas will feature alongside smaller close ups of these London landmarks. For anyone with a passion for London, this is a must-see exhibition.